Morphun square bricks are the same size as traditional middle size Duplo bricks and are 100% compatible with them. Over the years Morphun have added dozens new ways of joining the bricks making it even more versatile and creative. Starting with a simple triangle piece, Morphun have developed side joiners, direction changers, axles, and many other features. As a result, you can now make circles, curves, spirals and gears systems that are impossible with most traditional construction brick sets. Each year we launch both new products and adaptations to our successful ranges. Our objective is to make our Morphun sets safe to use, more challenging and more exciting. Most of all however, to make it just plain ‘more fun’ for children of all ages and abilities. Morphun products are manufactured to strict quality standards within the EU. All our sets have EN71 and ASTM certificates, that are regularly checked and renewed. In 1996, John Mott invented the core idea of the side joiner that led to the new Morphun Brick. John is a serial inventor, who also invented and patented the ‘light shoe’ (with the flashing heels). He and Colin Simonds, the chief designer, were working together and believed that the market was ready for a new improved British brick. 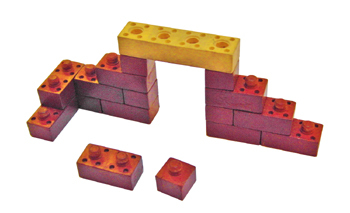 Morphun started with a range of bricks called ‘Interlinks’ which have now developed into the Morphun ‘Advanced’ brick. 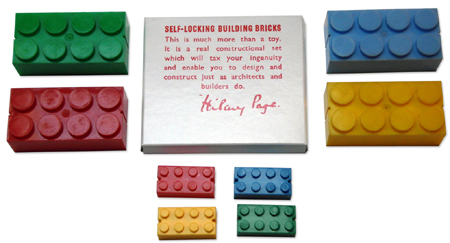 Whilst the Morphun square brick can be described as both cousin of Duplo as well as a son of Mottik, heritage is also owed hugely to the Kiddicraft of the 1950s (Hilary Page’s company). 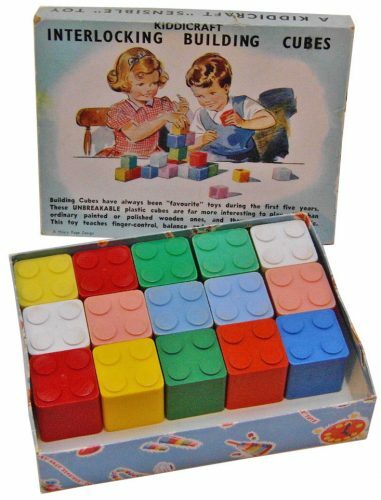 Going even further back, all construction sets with pips on top are perhaps grandchildren of the original rubber sets called Minibrix, developed first in the 1930s. Colin Simonds wanted to invent an easier patented product for younger hands than Morphun Junior. His thinking looked at again Hilary Pages’ designs as a start point. By combining Hilary’s Cube with Morphun squares and triangles, Colin produced the new Hi-Qube system. These pieces are what you might call multi directional studded bricks. That is to say, Hi Qube bricks are not limited to one direction in the way that most traditional studded bricks are. These new bricks are therefore far more creative and expand the educational opportunities for children. Why not have a look at the Hi Qube Range on our Products Page.